Soldiers carry a lot of gear: weapons, ammo, Kevlar, water canteen, knee pads, goggles, gloves, survival knife, helmet, and other miscellaneous items. The Army wants to add a new item that list… air support. The Army seeks miniature, toy-sized drones that are small enough to fit in a backpack, but powerful enough to take out a target that’s up to six miles away. It might seem like a crazy idea, but current technology is already on the verge of lightweight explosive drones. Take the Raven drone, for instance. This Lilliputian aircraft folds up to fit in a soldier’s backpack. 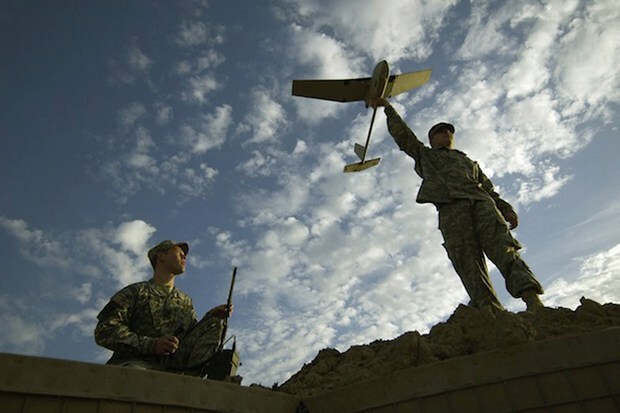 A soldier can take it out, assemble the wings, and send it flying above the battlefield with its tiny camera to get a birds-eye view of what lies ahead. The only thing military contractors have to do to create the new Lethal Miniature Aerial Munitions System (LMAMS) is to strap an explosive device to the drone and bam – you’ve got a kamikaze drone that destroy anything it can reach. Of course, it’s not as simple as duct-taping some C4 to a drone. The Army has included a laundry list of specifications. 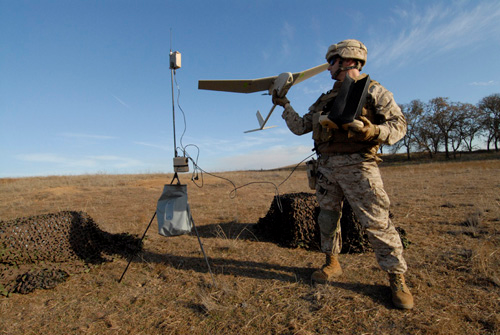 The winning design for the LMAMS contract will need to create a drone that can fit in a soldier’s pack, weigh less than five pounds, be ready to fly in under two minutes, operate under a remote-control targeting system, and fly for at least six miles. Cramming all of those buy cialis cheap prices features into a tiny drone might prove to be a true challenge for military contractors. The only downside to a device like this is that it won’t be very versatile. The Army explained in its pre-solicitation, “Once a target is selected by the operator in the terminal phase of an engagement no further operator input shall be required.” Basically, these things are intended to reach a target, blow up, and not much else. That means that the winner of this contract won’t waste time or money figuring out how to include advanced surveillance hardware or long-term loitering capabilities. The new LMAMS will probably be an excellent long-distance bomb, but it will be next to useless for scouting or surveillance. This could create an interesting dilemma for the Army. Should they carry two distinct drones – a Raven for surveillance and an LMAMS for precision strikes, or would they be better off combining the two to create a small drone that could do both jobs fairly well? I wouldn’t be surprised if we eventually see a hybrid drone that acts as a Swiss army knife of the skies. Imagine a portable drone that could spy on enemies and then drop a bread-box sized explosive device on the target before returning to the soldier for its next mission. Until then, we’ll have to see how these miniature kamikaze drones perform in the field.